Ensure Secure Passage with Enhanced Transportation Communications –Motorola, Inc. Maximizing Port Safety –Motorola, Inc.
Tracking and monitoring cargo is costly, but with new technology it’s far cheaper than the alternative of losing $15-$30 billion annually in cargo crimes and stolen goods. Now, IoT is stepping up to provide connected coverage, where insurance companies can put risk management into the hands of the claimant. The introduction of wireless and location-based technologies has a transformative impact on the way assets are monitored. Insurance firms are at the heart of this challenge. The more theft we see, the faster premiums will grow. In my view, the lack of suitable and affordable monitoring is a core issue; when goods do go missing, the claimant is required to explain to the insurer precisely what has happened to their goods. Difficulty often arises though when evidence is unavailable. If goods vanish without a trace, there are a whole number of potential scenarios: they could have been lost or left on the tarmac somewhere, delivered to the wrong location or, at worst, stolen. Information on where goods are, their status and state of repair can therefore be of particular benefit to owners, logistics providers and insurers alike. If the worst has happened and goods have been stolen, with good tracking technology, retrieval is much more achievable. There has been appetite within the insurance sector to leverage technology in order to improve access to information such as location and status, better knowledge of which will help in retrieving stolen goods and in turn protecting cargo, while bringing down premiums for insurers. According to research conducted by ABI Research, the goods tracking market is set to be worth $5.6 billion by 2021, up from $3.6 billion in 2016. These statistics support the fact that there is a growing want and increasing need for investment into the better monitoring of cargo. At present, the issue lies with retrieving stolen goods; the technologies currently being utilized have major flaws that often make it expensive and impractical to effectively track goods in the first place, let alone retrieve them. Tracking devices, often operating on mobile data networks, are no way near as accurate or reliable as insurers would like them to be. 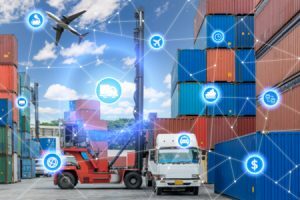 The issue lies primarily with connectivity; when goods are in transit, there will be times they go through zones without data or signal at all, where if something were to happen, data would be unable to be recorded and sent back to the supplier. Current tracking systems also create an issue of space. The typical means for transmission, satellite and mobile networks, require large powerful devices that have to process the information and then transmit it back to headquarters. The cost of installing monitoring devices and transferring data for all goods across an entire logistics network can sometimes outweigh the savings, thus when goods do go missing, far too many are untraceable. Furthermore, due to the price and the size of current tracking devices, suppliers often only implement one larger, costlier device to track a whole container, rather than tracking each individual shipment. Cargo thieves often plan ahead and only take the crates, pallets and goods which are untraceable, rendering the expensive tracking device attached to the container useless. Making tracking devices both smaller and more affordable could also drastically improve existing technologies. It is often the case that when a business’ goods are stolen they won’t report it to the police. Companies fear their reputation and customers thinking that they don’t have proper security in place and could be unreliable. Those companies transporting cargo on a regular basis need to have a technology that is simple, affordable and provides effective connectivity to deter and prevent theft. One technology that defies the norm and is capable of operating across more of the globe than other mobile services is Unstructured Supplementary Services Data (USSD). USSD is a secure messaging protocol which is globally available as part of GSM networks. The technology’s wide availability makes it the ideal technology for insurance and logistics firms looking to track and monitor goods. It requires simple components and lower power to operate, meaning devices can be active considerably longer than a mobile data-based technology, and SIMs can be installed into devices not much bigger than a USB memory stick, making the cost of space significantly less than alternatives. Given there is no internet being used, there is also no need for expensive microprocessors and components to communicate the data, in turn reducing complexity and costs for manufacturing devices. Due to the low power requirements and cost of USSD, it would also be feasible to use the network to track multiple shipments within a cargo container, allowing suppliers to more reliably deter thieves and recover stolen goods. Cargo crimes are challenging insurance firms and costing the logistics industry billions of dollars. The introduction of wireless and location-based technologies has a transformative impact on the way assets are monitored. Despite this, we’ve continued to see issues with cargo going missing or being stolen while in transit. We’re now in a position where one means of connectivity is offering a much more affordable and reliable technology than existing market options. USSD has the capability to provide insurance firms and their clients with assurance that their goods are safe in the most affordable way possible.